I have always said it that no responsible government will fold its hands and watch while its citizens are being slaughtered and massacred in their numbers. No responsible government will subtly encourage the killing of its own citizens just to achieve its premeditated agenda of cattle colony. No responsible government will value cows and animals above human life. But now it is very clear to all Nigerians the hidden agenda of the government of President Muhammadu Buhari. It is very clear that Nigerians made the greatest mistake of their lives by voting Buhari to manage the affairs of Nigeria. 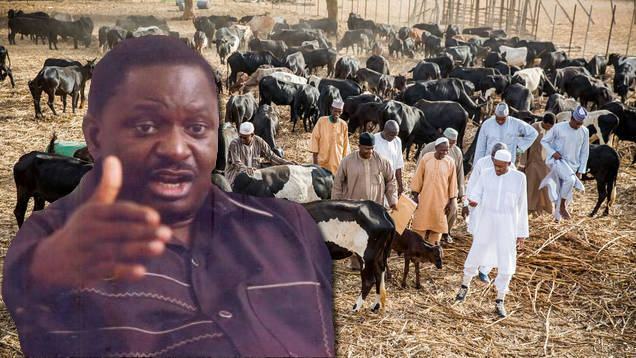 The recent statement credited to the Special Assistant to President Buhari on Media and Publicity, Femi Adesina with respect to cattle colony on a program on AIT is really unfortunate. It shows that Nigerians have been taken for granted for too long and these people will continue to take us for a ride and for fools if we don’t show them the way out of office by our collective will as Nigerians. When injustice thrives in the land and the just fold their arms and do nothing, the unjust will automatically believe that the injustice they perpetrated is right and would continue in their acts of injustice. That is the situation we have found ourselves in Nigeria. Now let us take a look at that statement by Femi Adesina: “Ancestral attachment? You can only have ancestral attachment when you are alive. If you are talking about ancestral attachment, if you are dead, how does the attachment matter? The National Economic Council that recommended ranching didn’t just legislate it, there were recommendations. So, if your state genuinely does not have land for ranching, it is understandable. Not every state will have land for ranches. But where you have land and you can do something, please do for peace. What will the land be used for if those who own it are dead at the end of the day?”. This type of statement by Femi Adesina simply shows that he is reckless, senseless, insensitive, wicked and heartless to the sufferings of Nigerians in his quest to satisfy his pay masters and it is very clear that he is part of the callous cabal that has held Nigeria hostage all along. But as they say, like master, like servant. It is unfortunate that the government of Buhari has brought untold hardship and suffering to millions of Nigerians who thought that a messiah had come but alas we were wrong. Thousands of innocent people have been gruesomely murdered since Buhari took over office with empty promises to tackle insecurity for which he was voted into office but he has failed to tackle the menace, rather Nigerians have been massacred in their numbers in Benue and recently in Plateau state as well as in other parts of the nation. But I’m not surprised because that is their usual tactics; because election is coming, so they would allow the killings so that they can use it to campaign for another election, with another set of empty promises to Nigerians to tackle the menace which they will never fulfill. That is their game plan. It is a vicious circle. Their game plan is perfectly understood. By that reckless statement from Femi Adesina, the Presidency has shown Nigerians clearly that they they are indirectly in support of the mindless killings of innocent Nigerians by fulani herdsmen across Nigeria. They have shown us that these killings are premeditated in order to force Nigerians to accept their idea of cattle colony and force its bitter pill down our throats in order to satisfy their inordinate and sinister motives. But what is ancestral attachment that Femi Adesina talked about? Every Nigerian has an ancestral heritage in either tangible or intangible assets or possessions resulting from their lineage and these assets cannot be merely encroached upon or annihilated by any intruder because the people will resist such illegality. You cannot force people to accept what will in the long run be detrimental to their well-being and then turn around to hoodwink us to believe that you are doing us good, no, the people know what is good for them. Now when you look at that statement properly, you will see desperation written all over that statement. You will see a Presidency that is not only cunning but desperate to force Nigerians to either accept the idea of cattle colony or be prepared to die! That is the import of that reckless statement. Although we should not be surprised by Femi Adesina’s statement because he is fond of taking Nigerians for a ride and making provocative statements. Remember it was the same Femi Adesina that told us that we are wailing wailers. He rubbed it in the face of all Nigerians, yet nothing happened, so it’s not surprising he has now come out again with yet another utterly disgusting statement by asking Nigerians to either choose cattle colony or death. Sometimes I wonder if these people know the gravity of whatever they say and the damage such statements can cause in the minds of millions of Nigerians. Sometimes I wonder if they know the delicate and highly exalted position they occupy as public servants where they are supposed to refrain from making reckless statements and aggravating an already bad situation. Because thousands have been killed and Nigerians did nothing, and the families of these people have resigned to their fate since they know the government cannot protect them, and since Nigerians are so good at forgetting so easily, so that is why they could come up with another denigrating verbal rhetoric just to cow us into accepting to relinquish our ancestral heritage to some marauders who call themselves fulani herdsmen and who have now become sacred cows in Nigeria just because their man is at the helm of affairs of the nation and is covertly encouraging them to continue to kill and maim in order to annihilate territories for themselves and their sacred cows. So by that statement by the Presidency, it clearly shows why Buhari has done little or nothing to stop these mindless killings in Nigeria. It shows the mind of the president because out of the abundance of the heart the mouth speaks. It shows that if we refuse to accept their idea of cattle colony and ranching, they are prepared to kill as many Nigerians as possible just to achieve their sinister agenda. But really is this a government? A government that does not care if its citizens are killed in their numbers? A government that is so tribalistic, myopic and inept that it sits down and fails to take action while the people are being hacked down in cold blood? Is this a responsible government? It only shows one thing. It only shows Nigerians that we don’t deserve this type of government because Nigerians are much more sophisticated and politically enlightened to be boxed into a corner with this type of government that instead of ameliorating the pains of the people, it rather increases their sorrows. No this is not the type of government we want as Nigerians. This is not the type of legacy we want to leave for our children and generations yet unborn. Mind you that statement by Femi Adesina should not be taken lightly by Nigerians. There is more to that statement. It is not ordinary. It is a well thought out, well planned and well crafted statement by the Presidency and sooner or later, they will back that statement up with actions that will surprise many Nigerians as it is very clear that these people are desperate to entrench their evil agenda on hapless Nigerians. They are ready to destroy our ancestral heritage and take over our lands and Nigerians must resist any form of internal colonization. Nigerians must immediately resist and reject the likes of Femi Adesina and his misguided, myopic and arrogant postulations and cabalistic hegemony because if he is willing to destroy his own ancestral attachment in order to satisfy his tribalistic pay masters, which I know he would never ever contemplate, we as Nigerians would never contemplate such destructive tendencies to the collective posterity of our common heritage on a platter of political patronage, irrespective of the circumstances. It is now clear that the chickens have come home to roost and Nigerians now know the type of leaders they have. By their fruits you shall know them. We now know that it was a mistake after all to have allowed this type of government that takes its citizens for a ride and continuously rubs denigrating statements on our face every now and then and since they feel we can’t do anything to them, they keep making more belittling and provocative statements to all Nigerians. But we can do something because the power is in our hands. We can take action and we must take action and our action is our vote which we must ensure that it counts at the next election. We must never make the mistake of ever voting in someone who would subtly conspire to kill innocent Nigerians just to achieve his ethnic jingoistic ideals. 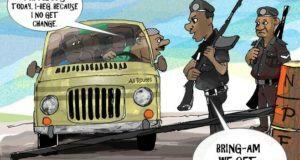 Nigerians say no to impunity. 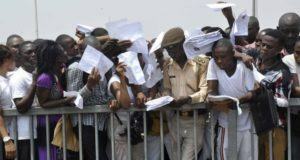 Nigerians say no to clueless leaders. Nigerians say no to obnoxious conspiracies against the collective patrimony of our common good. Nigerians say no to the annihilation of our collective ancestral heritage in the name of some sacred cows. No, no, no and no we say!